We recently presented our most innovative project, the Winery of the Future, on a global level at the IOT Solutions World Congress in Barcelona, and it already forms part of the innovative work that we are carrying out alongside prestigious entities and universities for the intelligent management of wineries and the construction of “the winery of the future”. Over the last few years, we have achieved considerable progress in the field of viticulture, such as the development of native yeasts extracted from the vines (which has enabled us to strengthen the identity of our wines) or the incorporation of drones and geolocators for the intelligent management of the winery. 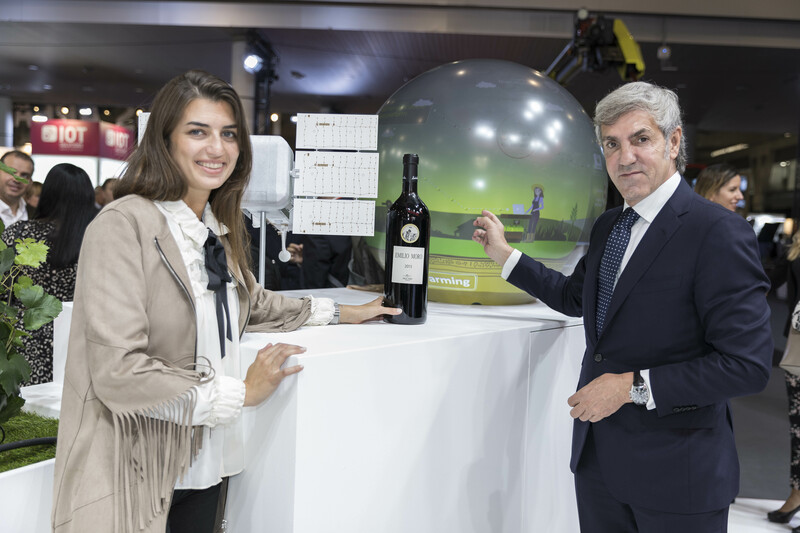 The latest step in this direction was the signing of a collaboration agreement with Vodafone for the joint creation of a winery which is high-quality, sustainable and digitally-managed through a network of field sensors on the vines and the application of artificial intelligence, Big Data and satellite technology in order to maximise the yield and minimise the environmental impact of wine production. A global, pioneering project presented as part of IOT Solutions World Congress in Barcelona. Through the Vodafone “Sensing4Faring” solution, a network of sensors will be installed in the vineyards which, together with high-resolution and real-time satellite images, will enable our winery to measure key environmental factors, such as humidity, temperature, ground conductivity and water absorption, as well as the strength and health of the vines. Thanks to artificial intelligence and the application of technology based on Big Data, this data will be instantly processed and sent to the mobile tools of our technical team so that we can accurately determine the ideal quantity of water and fertiliser the vines need at any moment, as well as decide which areas need to be pruned and when to harvest. The winery of the future is also a winery that respects the environment. The sensors spread out on the land will use a Vodafone NB-IoT connection which makes it possible to use long-life batteries or small, very-low-power solar panels to significantly improve energy consumption in the wireless transmission of information and its spectral efficiency. In this way, the general benefits of the “Sensing4Farming” solution include the reduction of production costs (due to the reduced consumption of water, fertiliser and energy), the increase in the quantity and quality of production (by enabling a more selective application of processes) and a lower environmental impact due to the reduced use of fertilisers.